Welcome to The Weekly Stitch! My goal with this blog is to introduce you to stitch patterns you may not be familiar with, or give you a new way to look at stitch patterns you already know. 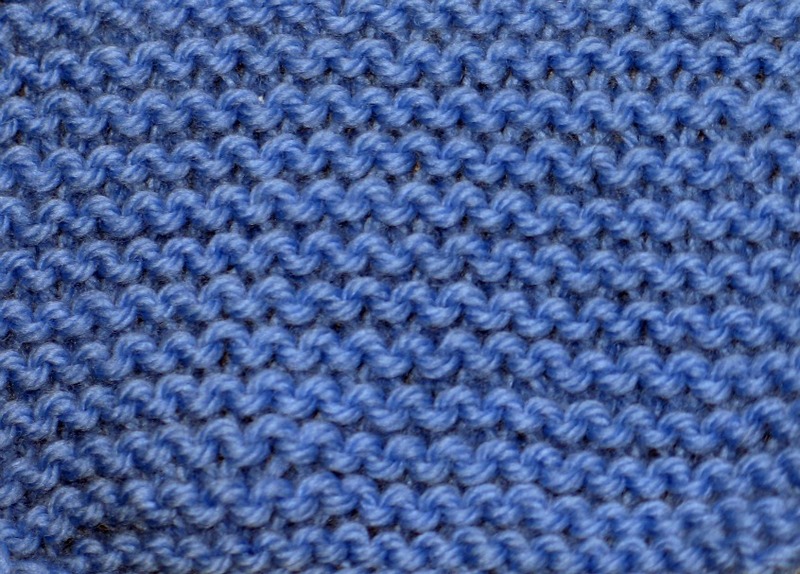 You are probably familiar with garter stitch. 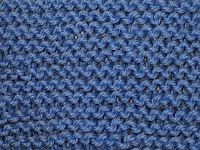 Garter stitch fabric is created by knitting every stitch on every row. (If not, a video follows to demonstrate garter stitch fabric.) If you are following a pattern, you will be using the needle size called for, or the size that gives you the required gauge. But what if you are designing your own project? 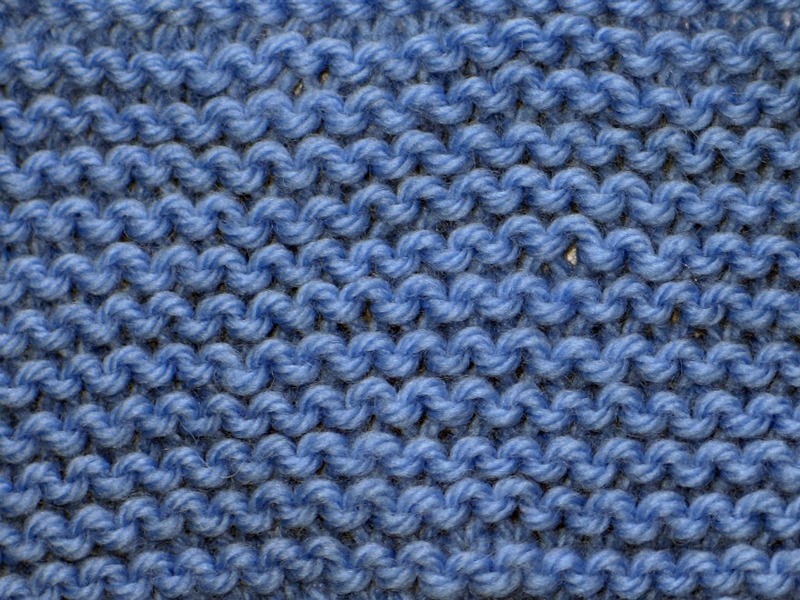 You may not want to use plain old garter stitch because it's boring, right? Maybe not. 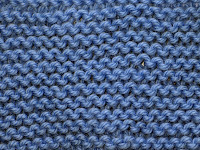 Below are 4 swatches using garter stitch. Each was knit with Cascade 220, and each sample is made of 21 stitches and 24 rows. It is a bit hard to see the difference on the computer, but trust me there is a difference. Try this experiment for yourself and see what kind of results you get! Let's take a look at the first sample, knit using the recommended needle size, US #7. 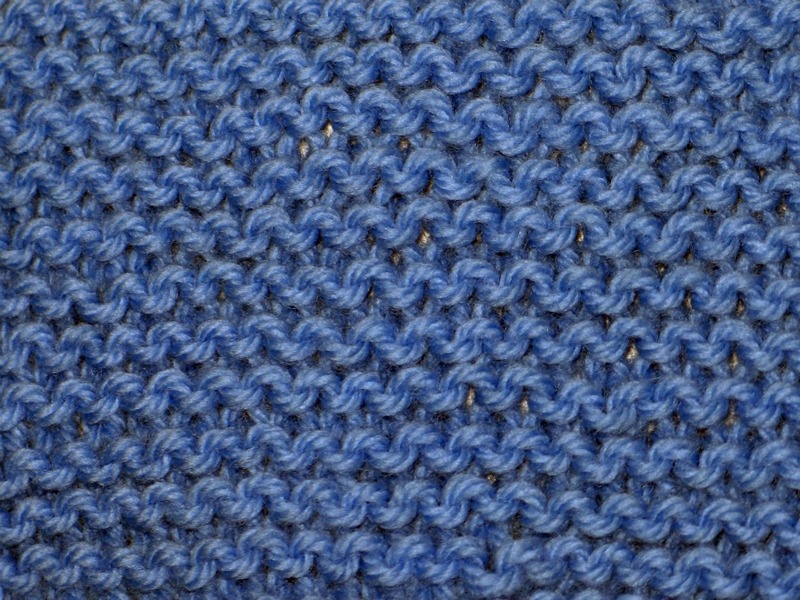 Now, let's take a look at the second sample, which was knit using one needle size smaller, US #6. It may be hard to tell, but the fabric that is produced is a bit tighter than the piece knit with the size #7 needles. 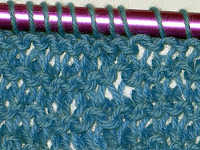 The third sample was knit using the next size up, US #8. You can see that this piece of fabric is a bit more loose than the first sample. Now, what would happen if you knit something using a needle much, much larger than the recommend size? 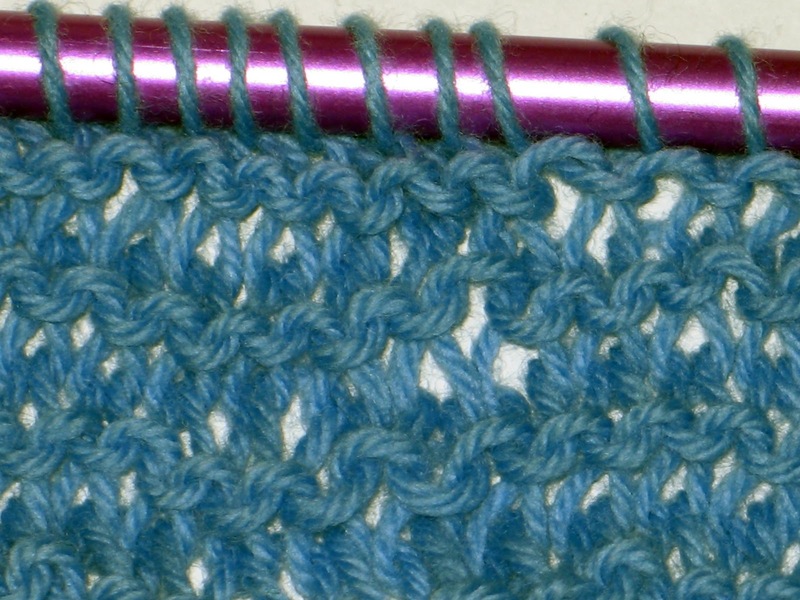 Below, I used a US #15 to knit the sample. This results in a very loose, airy piece of fabric. You could easily complete a nice light scarf for spring or fall in a weekend by using a needle size much larger than that recommended on your yarn! Next time you are working on a new project, don't limit yourself to the needle size recommended on the ball band. Try different sizes and see what happens. Something fabulous might come off your needles!